Music education makes you smart. Smart people educate themselves with music. Both are true to an extent. What is it about music that increases you brains efficiency? From a teacher’s standpoint, the answers are quite obvious. Because music education is such a broad topic, let’s condense it to the studying of an instrument... more specifically the piano. Teachers have noticed through the years that students seem to get sharper mentally with every lesson. Even the ones that don’t practice a lot seem sharper at the end of a lesson as compared to the beginning… although many teachers can think of a couple of past students who seemed to get more sluggish with every lesson. Thankfully, those types of pupils were the exception rather than the rule. So what aspects of mental capacity are improved by piano playing? Hand eye coordination vastly improves with instrumental training on the piano. 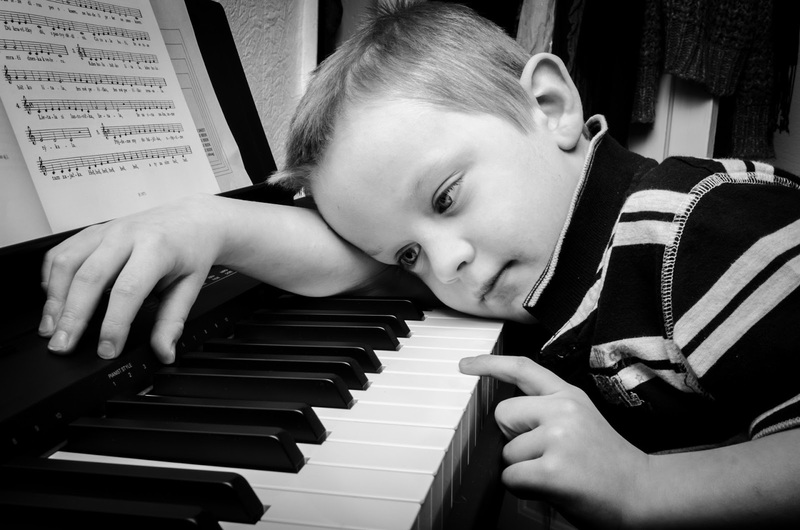 You can better judge distances between notes while playing of notes simultaneously, and there are a whole list of coordination demands that come from the gradual improving of fine motor skills. Reading skills expand. If you think of music as a language, you are constantly improving your musical vocabulary with more compositions and technical exercises. Memory, both visual and touch, is given a workout. In this regard, the phrase “use it or lose it” comes to mind. Musicians who constantly memorize new pieces just seem to be sharp in the memory capacity, provided they have a fairly healthy lifestyle. EQ is forced to develop when performing the works of other composers. You really must feel and understand what a composer felt when composing a work; you will have trouble performing the work effectively for others if you don’t. Apart from studying the piano, the study of theory and history go hand in hand with the study of any instrument. Knowing about the history of a composer helps you to interpret a piece and improves your music knowledge base. Interpretive improvement is also achieved through the comprehension of a piano piece’s structure. This understanding is obtained through theory knowledge. Music theory is often compared with math and it can be improved gradually, provided the student has a sound foundation.